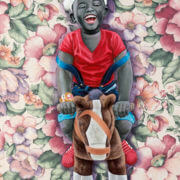 Artist Collecting Artist / "I do what I like" / Sam Nhlengethwa - COLLECTOR. Sam Nhlengethwa Portrait in studio. Courtesy of the artist & Goodman Gallery. 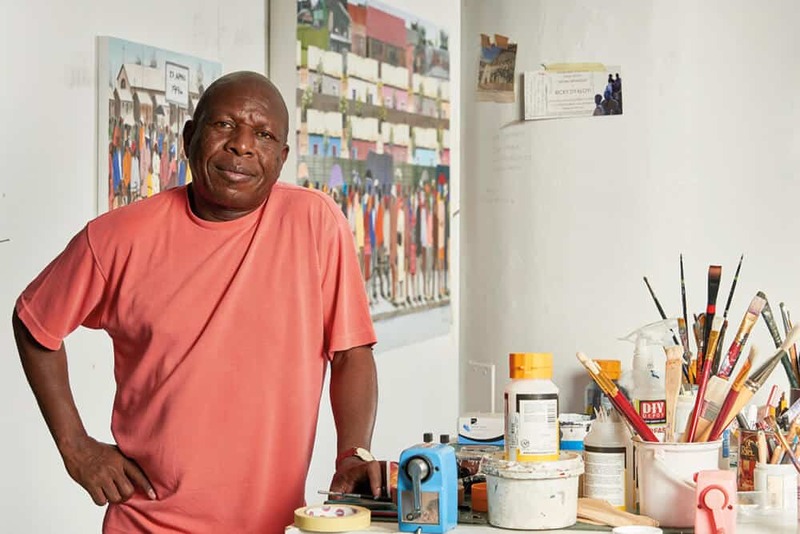 Sam Nhlengethwa is one of South Africa’s most prominent artists. 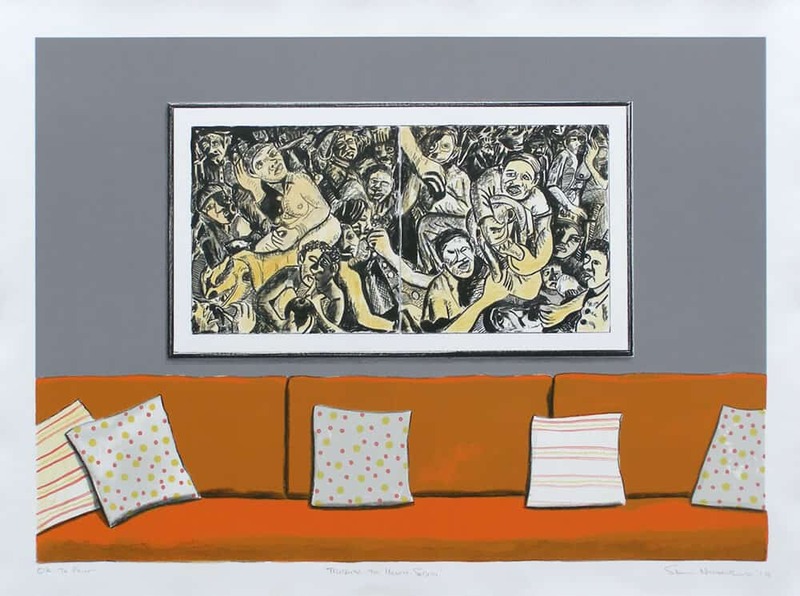 Known for his figurative collages, paintings and drawings, he has successfully exhibited in South Africa and abroad. Aside from his artistic career, and what most people don’t know, Nhlengethwa has built an impressive collection of art and records. COLLECTOR. interviews Sam about his career thus far. COLLECTOR. 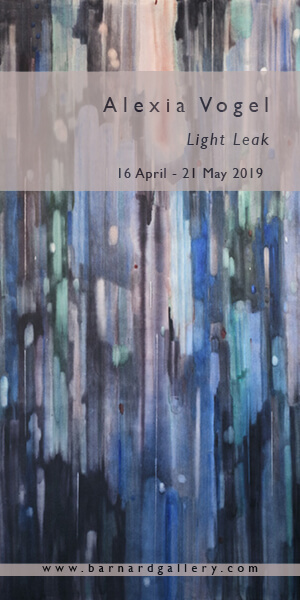 : Your career spans from the Art and Craft Centre at Rorke’s Drift, through to your latest residency at the Southern African Foundation For Contemporary Art (SAFFCA) in France. What have been some of the pivotal points in your career – and the industry – that stand out for you? Sam Nhlengethwa: Something that definitely stands out and that I always talk about, is the workshops we did under Thupelo. The feeling of sharing a platform with older artists was quite an experience for me and it instilled discipline in my practice – it truly shaped me. The older and experienced artists would be the advisors to the younger artists – each person sharing their skills and unifying everyone in the practice of the art world. Also, the experience of working with international artists – I remember Peter Bradley and another artist, Holland (his first name escapes me now) from the United Kingdom. I have done many residencies in the past, in the United Kingdom, in Germany – all of them were different but especially the one in France, as it really challenged me. I always leave home with an open mind, I don’t want to carry thoughts of how I do things in my studio and practice. I allow the environment to dictate for me. During my residency in France, in a small village of wine called St Emillion, I started to look at the bottles – doing still-life drawings, sketches and collages. My subject matter was what the village produced and the vineyards surrounding. I can recommend a visit to St Emillion to anyone. And, by the way, I do love wine. Given this experience, what advice would you give young artists today who are setting out to establish themselves in the art world? My advice to younger artists is to take it slow – take it easy. Not to say there is anything wrong with competition, but it can be damaging at times. Some young artists want to be on top, just overnight – and they don’t give themselves the space to grow. Their time will come. Sam Nhlengethwa, Diva on Stage, 2009. Oil paint and Collage on canvas, 185 x 240cm. 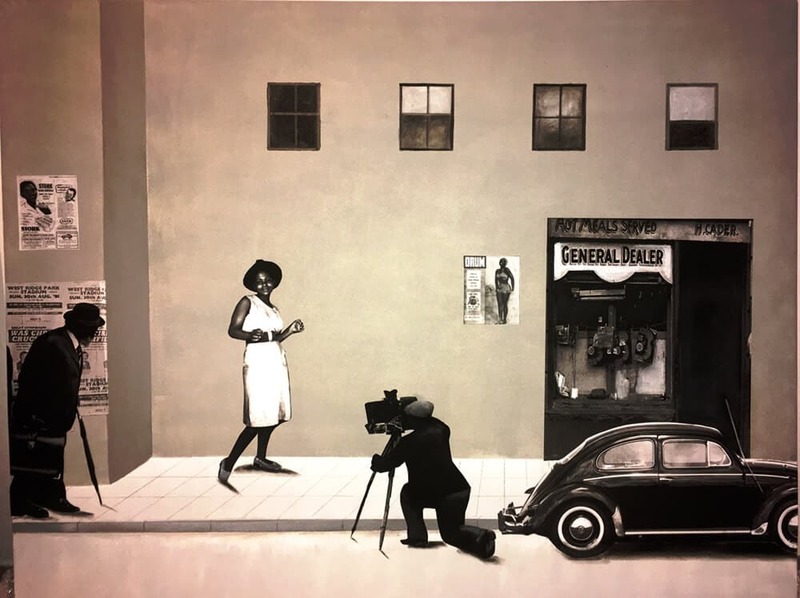 You began collecting art back in college – swapping work with other students, and you now have an impressive collection that includes William Kentridge, Maggie Laubser and Gerard Sekoto. Who are the young contemporary artists you’re collecting currently, and why? I have been collecting various young artists for years – many of which are students – so not only those who are spoken about and are on the platform. In particular, Benon Lutaaya and Phillemon Hlungwani – another favourite of mine is Billie Zangewa. What is your opinion on the relationship between artists and collectors – and would you say that your unique knowledge of both these relationships influences how and what you create? I do not feel such an influence. I don’t often stick to, or repeat things in my artistic practice. But if a gallery comes to me and asks me to do a commission, then why not. But normally, I don’t find myself under any pressure from the market. The market is not there to guide or dictate what an individual has to say – I do what I like. This is again advice for younger artists. During the beginning of our era, the art market was not yet aware of us, they were rather looking to those like Gerard Sekoto and so on. By the time the market began to realise us, we were already doing what we wanted. We escaped the stage of being manipulated by the market. Sam Nhlengethwa, Street Photographer, 2017.Collage, oil and acrylic on canvas, 100 cm x 120cm. Courtesy of the artist & Goodman Gallery. Apart from collecting art, you are also an avid collector of vinyl and often honour your favourite musicians and artists in your work. Would you say that jazz informs your artistic practice – and is there any synergy in how you go about choosing what features in both your work and record collections? Jazz has been a part of my life since I was young, as my two older brothers were jazz lovers. Most of the influence came from the older brother who was a jazz musician – he passed away in 1989. It feels like I am paying homage to him when I create a painting that relates to jazz. In my studio at home, jazz is always playing. I have a passion for vinyl and am currently building my own collection. When I was in France I bought about 100 vinyl – and this is something I do all over the world when I travel. I think I have just over 5000 vinyl in my collection. I have a separate room in my house for vinyl only, and an outside room on our property with more vinyl. I also have a flat in Newtown where my daughters are staying, there are also vinyl there. I made a conscious decision to buy more vinyl rather than CDs. Considering the history of the Bag Factory which you co-founded, and the role that organisations like the Maitland Institute and A4 play for artists from both the country and the continent – how do you think these platforms best equip artists in their careers moving forward? The Bag Factory was a gift to a number of black artists who were coming from the townships without any facilities or studio space. The Bag Factory allowed us to be able to share ideas. For instance, I would invite other artists like David Koloane, Pat Mautloa and Diane Hyslop to my studio to come and have a look, critique or advise me on what I was busy with. We could rely on one another for constructive criticism and development. 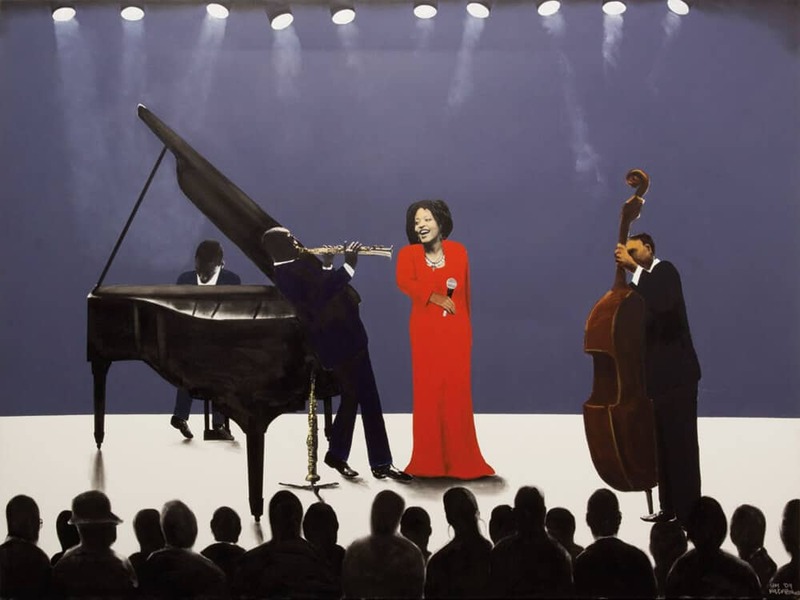 Sam Nhlengethwa, Tribute to Helen Sebidi, 2008-11. 10 Colour lithograph, 69 x 49.5 cm. 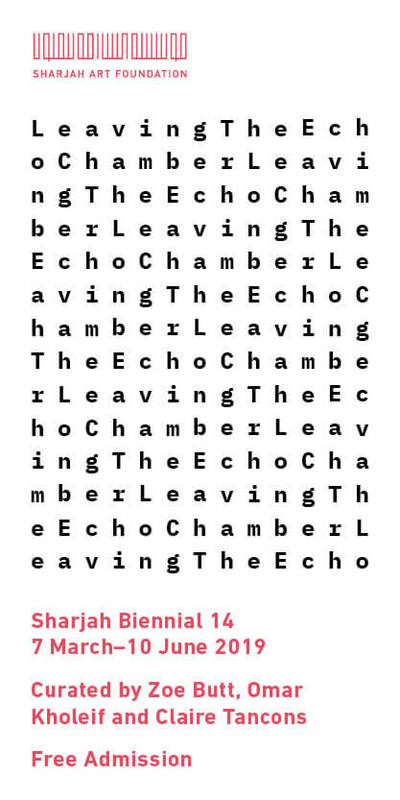 Edition of 50. Image courtesy of the artist & Goodman Gallery. Through its residency programme, the Bag Factory opened doors to international artists as this was a way of sharing cultures. There were many exciting experiences that were born from the factory. I am very pleased to see other similar structures growing today. During its time, the Bag Factory was one of a kind. I am proud that as a co-founder, I played a major role in shaping it, as it had a huge influence and impact on contemporary African art. Benon Lutaaya – a major benefactor of the Bag Factory, is also a successful, young artist – you must be proud of his success and even more so of his commitment to empowering young artists? Benon is a professional, and I wish all younger artists were like him. I also admire other artists such as Phillemon Hlungwani, Nelson Makamo and Zanele Muholi too. They respect themselves and I really think they are on the right path. Tayla Withers is a writer on ART AFRICA‘s editorial team. 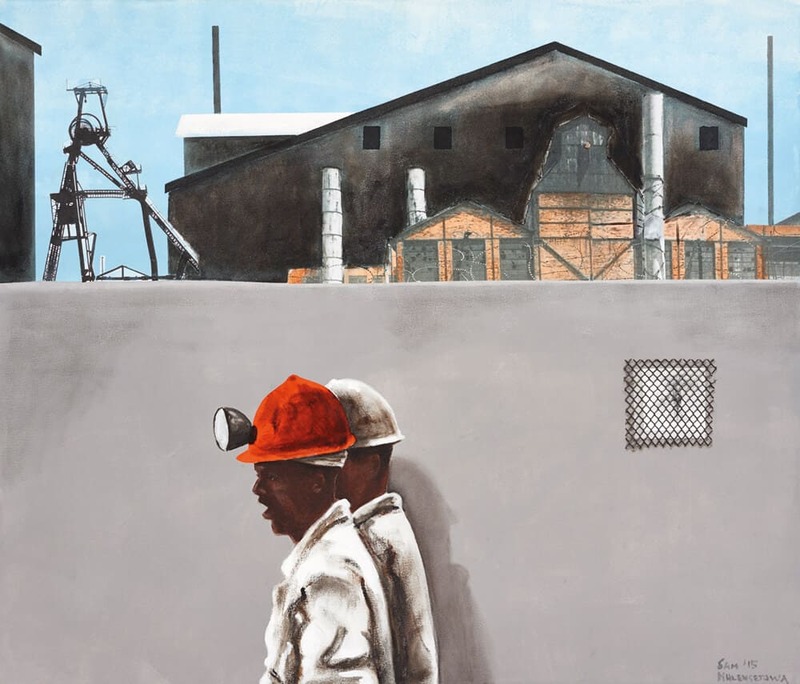 Sam Nhlengethwa, The Red Helmet, 2015. Oil and acrylic on canvas, 92 x 105cm. Courtesy of the artist & Goodman Gallery. 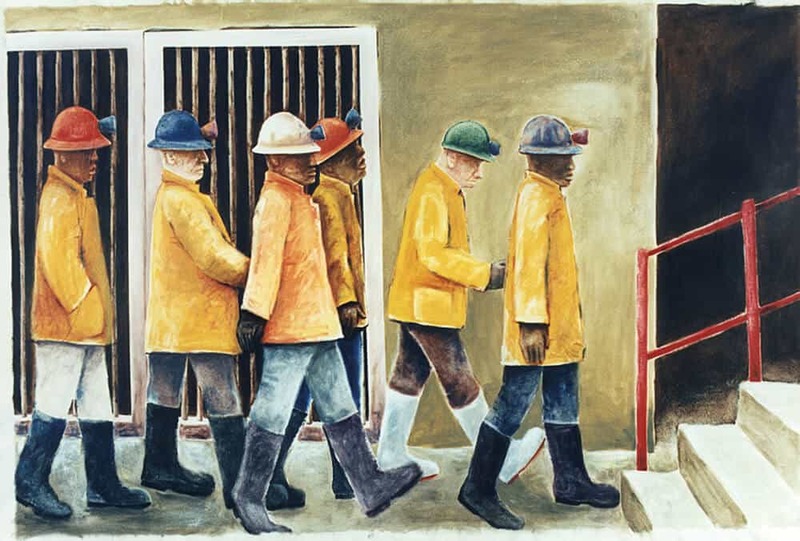 Sam Nhlengethwa, Yellow Jackets, 1996. Oil and acrylic on canvas ,159 x 225 x 10cm. Courtesy of the artist & Goodman Gallery.